I made these necklaces for my friend and her son when they were visiting from Alabama. I ended up mailing them since I didn't see them again before they headed home. The ones I've made were not accessible so my father got out his supplies and helped me put these together. 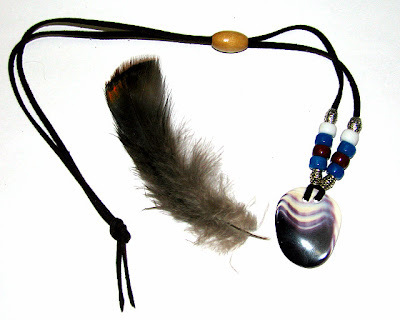 When he sells them at powwows and flea markets, he packs them each with a feather and I liked the idea so we did that. 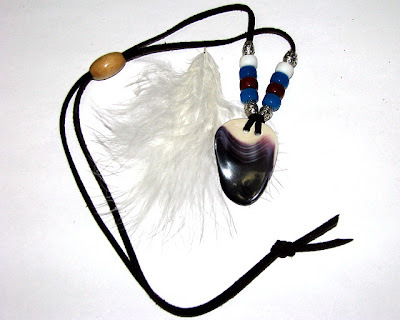 He makes the wampum (pendants) too.